Autodesk Maya, commonly shortened to Maya /ˈmaɪə/, is a 3D computer graphics application that runs on Windows, macOS and Linux, originally developed by Alias Systems Corporation (formerly Alias|Wavefront) and currently owned and developed by Autodesk, Inc. It is used to create interactive 3D applications, including video games, animated film, TV series, or visual effects. 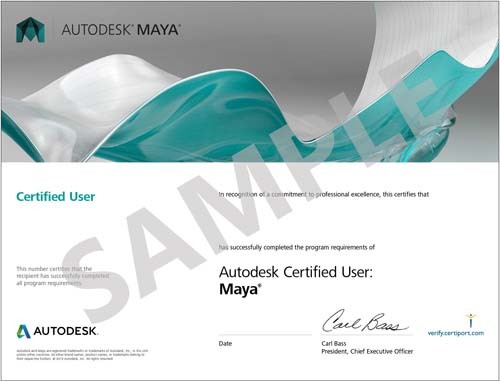 Maya was available in both "Complete" and "Unlimited" editions until August 2008, when it was turned into a single suite. Users define a virtual workspace (scene) to implement and edit media of a particular project. Scenes can be saved in a variety of formats, the default being .mb (Maya D). Maya exposes a node graph architecture. Scene elements are node-based, each node having its own attributes and customization. As a result, the visual representation of a scene is based entirely on a network of interconnecting nodes, depending on each other's information. For the convenience of viewing these networks, there is a dependency and a directed acyclic graph. Maya 2017 makes it easier than ever to model unique, compelling characters. New shape-authoring tools let you sculpt exactly the right expressions, no matter how subtle or intricate. And new XGen features make it easy to create characters with hair or fur, giving you the ability to groom characters directly in the viewport.